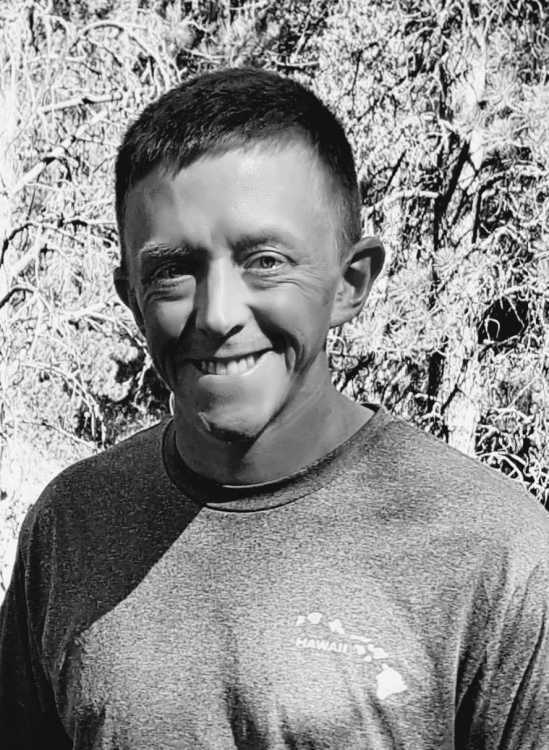 Kyle Langley Crowden, age 27, of Boise, formerly of Mountain Home, passed away February 9, 2019, while hiking in the Boise foothills. There will be a celebration of life on June 29, 2019. The time and place will be announced at a later date. Please check Kyle's Facebook page for more details in the near future. Kyle was born on June 29, 1991 to David and Janet (Langley) Crowden in Bethesda, Maryland. The Saturday evening Kyle was born, our family was complete. Kyle lived and breathed kindness, thoughtfulness and did all things with his whole heart. As a young man Kyle had a passion for bicycling. He could ride miles a day and enjoyed biking up and down Bogus Basin Rd. Academically Kyle excelled. He was a very intelligent man who graduated from Mt Home High School in 2009 and enjoyed the Encore group for 3 years. His first home was in Boise with a group of friends who he remained close to even after moving from that house, Vanessa Bevans and Chris Potter. Kyle went to work at Western Power Sports in 2014. He made many great friends there and enjoyed his position there which afforded him to keep in shape (being obsessed with getting his 10,000 steps in per day) and felt very fulfilled and rewarded working there. Many of Kyle's closest friends shared his love of hiking, biking, shopping, eating and plays. He loved going to the Boise Little Theater and the Shakespeare festival. Mike Brooks and Kyle became fast friends going on many hikes and adventures and planning many more. Mike and his partner Maddie loved Kyle like a brother, sharing meals and time with their children. Kyle and his brothers - Jerad and Andrew shared a love of art and drawing cartoons and comics. Sarah, Kyle's only sister, fondly from the start, considered him our family mascot. Kyle will be remembered for many things, his love of family, friends and all mankind. He had a passion for the hungry and homeless, always asking his mom for "no gifts" please give to the Boise Rescue Mission. Which we will continue to do in his name. In lieu of gifts please honor Kyle in the way he preferred by donating to The Boise Rescue Mission. Kyle is survived by his parents: Janet and stepfather Kelly Coupe of Oregon, David and stepmother Karen Crowden of Arkansas, his brother Jerad Crowden (Brianna) of Kansas, sister Sarah Figueroa (Angel) of Virginia, brother Andrew Crowden (Erica) of Ohio, stepbrother Zane Coupe (Maira) of Idaho, stepbrother Trevor Coupe of Idaho, Grandson of Ruth Langley of Idaho and George and Ina Crowden of Arkansas and Uncle to 16 nieces and nephews along with many aunt, uncles and cousins.